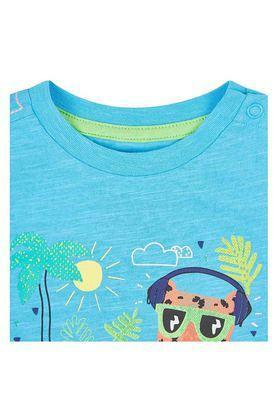 Rev up the apparel collection of your son by adding this pack of three tees from the house of Mothercare. 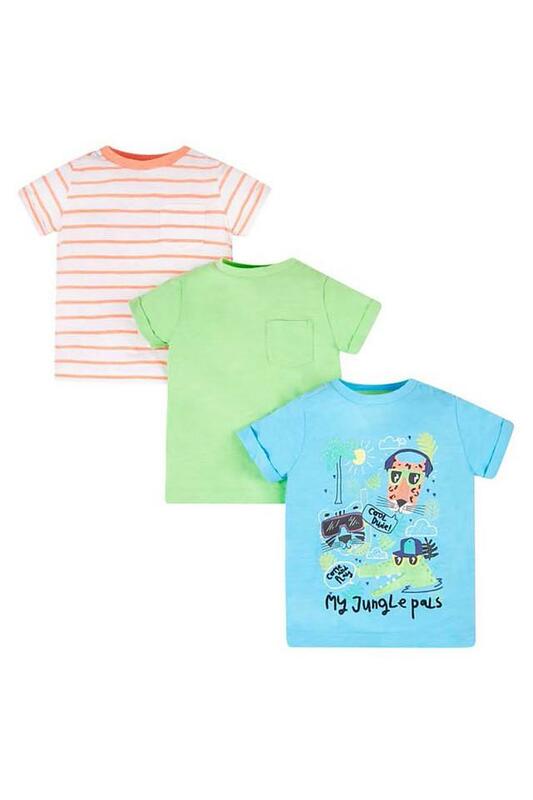 One of these comes in a striped pattern, while the other two comes with printed and slub pattern that promise to offer you a variety of choices. Crafted from a premium quality fabric, these are also comfortable to wear. 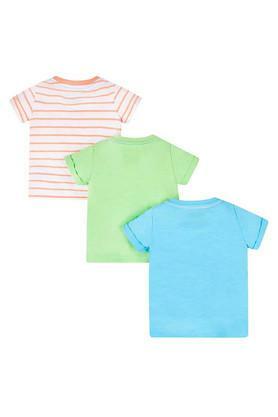 If you are concerned about the optimum comfort of your son, then this pack of three tees will be a great pick for him. Make him team any of these with a pair of chinos and loafers to look smart.